The French Film Festival is presenting the film “Cartoonists: Foot Soldiers Of Democracy” this Wednesday, January 28th, at the Crest Theatre in Sacramento. 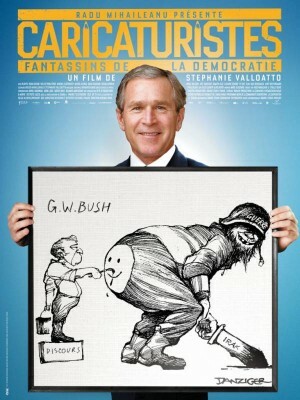 “Cartoonists” is a 2014 documentary, directed by Stéphanie Valloatto, and runs 106 minutes. Doors open at 5:30 pm and the film will start at 6:30 pm. 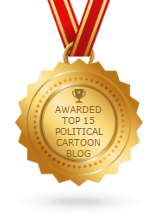 “Cartoonists” is a fascinating and well-constructed documentary. It presents the daily lives of these news artists, who work without bulletproof vests, integrates archival images and, of course, shows many examples of their daily production. Meet 12 amazing, funny, and courageous satirical cartoonists from around the world, who defend democracy at the risk of their own lives, armed with a single weapon: a pencil. They come from France, Tunisia, Russia, the United States, Burkina Faso, China, Algeria, the Ivory Coast, Venezuela, Israel, and Palestine. Hear their stories, challenges and successes, their joys and their fears. JACK OHMAN, Editorial Cartoonist at The Sacramento Bee, and finalist for the Pulitzer Prize for Editorial Cartooning. ROBERT SALLADAY, Editorial Director at The Center for Investigative Reporting. JAMES ISRAEL, Publisher/Editor of the Sacramento-based monthly publication, the Humor Times (formerly the Comic Press News). $11.75 / $10.75 for seniors and students. Purchase tickets here (additional fees apply). For more information, please see the French Film Festival website.